własność Rodryga hrabiego Dunina. - Majętność ta, dawniejsza siedziba Nieżychowskich, od roku 1898 znajduje się w rękach obecnego właściciela. - D..wygodny i przestworny, zbudowany został w pierwszej połowie zeszłego wieku przez .esnego właściciela Nepomucena Nieżychowskiego. One of the things that I find frustrating about researching my heritage, is all the different ways that names can be spelled. For example, I've done many searches on my great-grandfather's name "Rodryg Dunin", but it was only today that someone (from Poland) showed me this site, with an actual picture of his home. The name is listed as "Rodryga hrabiego Dunina", which (I think) is the possessive form, so a rough translation would be "belonging to Count Rodryg Dunin". In any case, I'm delighted to see this image. It was one of those "OMG" moments for me. It seemed that the new cipher was a strong cryptography and cannot be cracked in an easy way. Therefore, the Ciphers Office of the Polish Army's General Staff decided to ask mathematicians for help. In January 1929, the Dean of the Department of Mathematics, Professor Zdzislaw Krygowski from the University of Poznan, made a list of his best graduating students who could have started working at the Ciphers Office. While doing genealogy research on my own relatives in Poznan, I ran across this page. 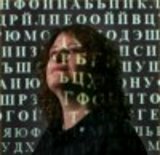 It talks about the Polish mathematicians who found the initial crack for the Enigma Cipher, and then they shared information with the French, and the British, which resulted in the forming of the Bletchley Park project. The Battle of Normandy was fought in 1944 between the German forces occupying Western Europe and the invading American, British, and Canadian forces. Sixty years later, the Normandy invasion, codenamed Operation Overlord, remains the largest sea borne invasion in history, involving almost three million troops crossing the English Channel from England to Normandy in occupied France. The bulk of German resistance in the region was finally eliminated on August 21, with the successful closure of the Falaise Gap by Canadian and Polish troops. The liberation of Paris by the French 2nd Armoured Division commenced a few days later. In French, that battle is referred to as "La Poche de Falaise". I just recently learned that one of my great-uncles, Karol Werner, a Polish officer, was wounded in that battle. My uncle died in the 1970s, but I recently tracked down his widow, who is still living in France, and has been delighted to share information about his life. She knows a fair bit of English, I know a fair bit of French, and so we write to each other in our respective native languages, and between that, and Google Language Tools, we've been doing okay! You can search for New York passenger arrivals here from 1892-1924. There are approximately 22 million total records. Keep trying or try later if you get an error message -- this site gets heavy traffic. The site was opened on 17 April 2001. I *really* wish I could find a good Polish/English online translator. This page seems to have a biography (written in 1998) of my great-great-great-grandmother, who appears to have been a relatively famous Polish poet and playwright of her time. Alas, this site is all in Polish, but it definitely seems to be about my family. The top painting on this page is Maksymilian Taczanowski, my great-great-great-grandfather, who died in 1852. The second painting is Alfons Taczanowski (1815-1867), Maksymilian's son. Alfons received an additional title of Count from another country, and thereby became a member of the Prussian House of Lords. The third painting is Antoni Taczanowski (1849-1917), Maksymilian's grandson, nephew of Alfons, and brother of my great-grandmother Lucia Taczanowska. The fourth painting is of a man, Jan Taczanowski, who I don't recognize, but I think it's a safe bet that we're related!
] sent to concentration camps where they died a slow death. This page has documentation of specific murders and abuses by the Germans during WWII. It includes details of the deaths of some members of my own blood family, the Taczanowski's (my father's cousins, via his paternal grandmother). I am not meme-ing the exact references, because the descriptions are extremely graphic.
] in Wawel Cathedral, Krakow, by Archbishop Baziak. I learned recently that a Papal Chamberlain during the time of Pope Pius XII was another of my great-uncles, a Polish nobleman by the name of Jan Czarnowski.
] Primbas, 14, and Amanda Weatherhead, 15.